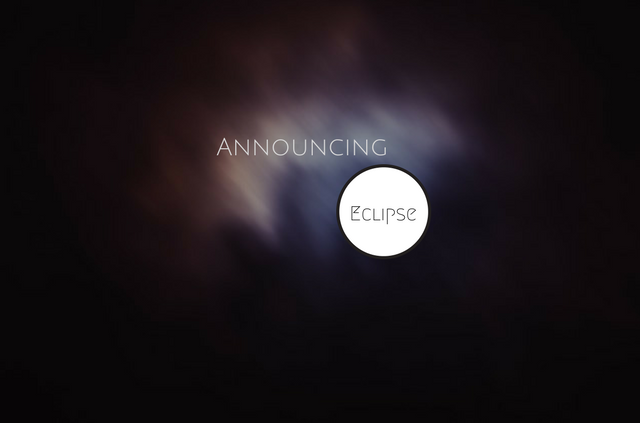 We are pleased to be able to announce Eclipse, the result of one year of testing and thousands of hours of work. This new program is only possible because of the advanced technology that we have developed in-house over the past several years. There are many approaches to SEO but often they are more tied to ideology than they are to results. Some focus on content alone – and expect that links and ranking improvements will happen if the content is good enough. Other focus solely on links – and expect that sheer numbers of links will beat the competition. Still others focus only on the technical aspects of SEO – on-page factors, page speed, silo structures, etc. However, all three approaches are flawed and Eclipse is our response. The results for our own sites and for our clients – are nothing short of amazing and they go far beyond typical SEO boasts. With typical SEO this is the typical process for most firms. Every new client that walks into our office tells a similar story regarding the ‘work’ that their previous SEO performed. Some require remediation because the little work that was done was actually harmful to the client’s website. 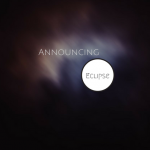 Eclipse takes a different approach that starts before our first phone call. All potential clients begin the process by filling out our forensic analysis form (takes about 5-10 minutes) which allows us to dig deep into your website’s performance, your competition, and most importantly your overall business. To get our clients the results they expect we need to know the details of your business, not just your website. Once you complete the form we begin our research which typically takes several business days and we get on the phone to review our findings and have a conversation. This isn’t a high-pressure sales call. It is a conversation where we will discuss your needs, what we have found, and discuss your competition. If we can help you and you are interested in moving forward we will discuss your options. We have spent roughly $300,000 over the years creating technology that allows us to see farther and analyze deeper and now we can also show more. All clients of Eclipse receive access to our SEO Dashboard so that you can follow along as we find targets and perform outreach. You can see the content that is being produced and where it is going – in real-time. We take the black box of SEO and shine a bright light on it. Once setup, we then begin to analyze your competition. But, not the competition you are staring at on Page 1 of Google. No, we go far wider to find everyone who has something to say that may help your campaign. Our research typically takes dozens of hours but it forms the foundation of Eclipse. Next, we use that new found intelligence to identify gaps and targets. Gaps are areas in your market that have been overlooked or are underserved. Filling those gaps can often result in some quick gains. Targets are the dream list of content producers, media properties, news outlets, researchers, and writers who can be utilized. Not just to place a link – but to tell your story, establish your brand, and help make you untouchable. The result is a barrage of quality mentions/links that are hard to achieve, valuable, and nearly impossible to duplicate. No footprints, high-quality, and in volume. Interested? The first step is to take a few moments and fill out our Forensic Analysis Form. You will be glad you did. Search Engine Optimization. You have heard about it, but you might not have too much of an understanding as to what it’s all about. However, that’s OK as you are not alone. When you venture onto the Internet and start to delve into the world of SEO, you would be forgiven for thinking that it’s just a maze of theories, plans, ideas, and websites competing against one another. That’s because it’s a pretty good description of what SEO is all about. Now, this isn’t an attempt to put you off SEO, because without it, your website is going to just drift off into cyberspace and verge on never being seen again. That would be a shame and, of course, your business or reason for having the site in the first place will be lost to everyone. The issue is that people look at SEO and they are instantly confused. They are confused by the mention of backlinks, social signals, content, on-page SEO, off-page SEO, algorithms, black-hat techniques, white-hat techniques, the list goes on. However, I want to move you beyond all of that and bring you back to basics. In fact, the basic thing that I am going to discuss in this book is at the absolute heart of everything you are going to ever do when it comes to SEO, keywords. Without keywords, there’s no SEO. They are the fuel that fires up everything else as they are at the core of how the Internet and searches operate. Fail to use them, and you will indeed drift off into cyberspace like a lost satellite that has fallen out of its orbit. The problem with that scenario is that it is then harder to pull yourself back from the brink, especially if you continue to ignore keywords. One thing to remember is that the use of keywords can, in itself, be complicated but that’s only if you allow this to happen. In my opinion, as long as you have the correct understanding of keywords, how they work, their function, and how to take advantage of them, then there should be no problems at any point. But then, I must admit that I’m still talking about a number of different areas that have to be covered and I certainly don’t want to put you off right at the beginning. We are going to work together and go through the entire process of how to choose the correct keywords, how to find their popularity and the competition and how to apply them to your website. Mixed in with that, we will look at how those keywords work and the difference that it makes to the overall success of your website. This may indeed sound complicated to those individuals just starting out, but that’s not necessarily the case. In all honesty, anybody should be able to do this even if they are completely new to keywords such is the ease with which these steps can be applied. By the end of it all, you will not only have a far greater understanding of keyword research and their implementation, but you are going to be able to put everything I am about to teach you into practice and get the kind of success that you deserve. Sound good? Are you ready for it? Well, let’s begin. Getting to Grips with the Basics of Keywords. It makes so much sense for us to really kick things off by giving a better description of the function of keywords. By doing so, you will get to see the role they play and understand why I am stressing that you must put so much effort into researching the best keywords to suit your needs. Let me walk you through what happens with keywords and the Internet because you use them on a daily basis without even giving them much thought. After all, in order to find anything online, you need to type in some words or phrases to get the ball rolling, so you are already taking advantage of those keywords. If you can imagine this scenario. You want to find a construction company and you live in New York City. You type in something along the lines of ‘construction company New York City’. You are then shown a number of links that may be suitable. You click on one and go to that website. Of course, although none of this would be possible without using keywords and that is why it really is so important. Keywords pretty much make the Internet work and yet a surprising number of individuals with a website will just not pay the kind of attention to them that they deserve. However, it’s not as easy as it sounds in our scenario. The difficulty is that you must have a firm understanding of the way in which the keywords are linked to your site and also what people are looking for when they come across your website. After all, the ‘Holy Grail’ of keywords is to get onto the first page of Google as that is where 100% of the traffic hits and over 90% of people click on one of those links. Being on there makes a huge difference to your business and it all comes down to your ability of choosing the correct keywords. You see, SEO is all about improving the visibility of your website for the search engines and there are a whole host of ways in which this is achieved. We won’t cover them all in this book but you should at least be aware that keywords and the research that goes into them, only covers a small percentage of what you need to do online. It’s best to view keywords from the perspective of them being part of your marketing strategy as that is what they actually are. The keywords form part of the market you wish to target and the research that you must carry out will provide you with the opportunity to go ahead and learn more about what they are searching for in order to take advantage of this. Now, this is clearly going to take some work, but as you work through this e-book, you will learn that there are tools out there that will make life so much easier for you. This includes; knowing which keywords are popular, understanding the variations that are out there, understanding the competition that exists with the keywords, and then you can track how things are doing according to the number of searches. It’s all impressive stuff and what you are going to find is that it’s perhaps not as complex as you initially feared. In fact, you will probably wonder why you were so tense and nervous in the first place when you discover how selecting the correct keywords can be done via just a few clicks of the mouse button. Keywords allow people to find you on search engines. You use them already every single day that you go online. Proper research has to be conducted to know which keywords to aim for. You must understand the concept of competition for keywords. Tools are available to make life easier. Keywords and keyword research are just one aspect of SEO. Clearly things will get slightly more complicated and it’s perhaps best to turn attention to your website and getting you started on dealing with those all important keywords. However, just prior to doing that, we should maybe better explain the difference that research makes to the overall result. The Difference Quality Keyword Research Makes. You should already have a better understanding of the need for keywords when it comes to not only your SEO plan but also your Internet marketing in general. However, it was hinted at that often the best thing is in the research because quality keyword research does indeed make a huge difference to the potential success of your campaigns. Let’s be honest, you want to give yourself the best chance to succeed, don’t you? The problem here is that people with limited knowledge will just sit and think about the kind of keywords they might search with if they were trying to find their own website. They will then just add them into their SEO plan and that’s the limit of their research. Well, it’s no surprise to hear that this is the wrong thing to do. Instead, it has been shown time and time again that quality keyword research makes a huge difference to how well your website performs. In truth, it can determine if it succeeds or fails, and who wants their website to fail? Too often, people with no real experience will just go with what they feel is correct. They guess that those individuals, that will be searching for whatever it is that they offer, will be thinking along the same lines as themselves. But that’s certainly not the case. In fact, this approach is not even good enough to be classed as hit and miss. It’s more like miss, miss and then occasionally hit. When you then factor in that the competition will have conducted their research and are getting all of those hits, then why would you just guess? It is like SEO suicide if we’re being honest, so you can understand why that should be avoided. Let’s work through a potential scenario with you just to make life that bit easier. If we take the example from the previous chapter of the construction worker in New York City. Now, the competition for the phrase ‘construction worker New York City’ will be exceptionally tough. You just have to see how many links and websites there are that will all be fighting for those terms as this then has yet another impact on whether or not you would then carry on. To rank for those terms, you are looking at a huge sum of money and an intricate SEO plan but most people don’t have that kind of cash hanging around. Instead, thanks to your lack of research, you will struggle to make any kind of an impact and then there’s a good chance that disillusionment will strike and where is that going to get you? Quality keyword research circumvents that problem. It allows you to find a niche within your target market that is still searched for just on a smaller scale. If you can land on page 1 of Google with this niche, then you do have the very real possibility of you becoming the market leader in that field and that can be good news for your business. Later on, we will also offer you some insights into how you can identify those keywords that are going to be easier to rank on that first page just by using a simple tool. Of course, that does then lead us into how to choose the niche in the first place because that’s something that also requires some work on your part. So, let’s check out how to start the process of correctly choosing your niche. Now, pay close attention and even take notes as we are going to cover a range of things that will have a profound impact on the final decisions that you then make. How to Solve That Problem: Choosing a Niche. So, you realize that your desired keywords are just too competitive and you quickly come to the conclusion that there is no way you can actually go ahead and get anywhere near the first page of Google. What’s your next step? Your next step is to do your research, as we have been guiding you through, and one thing that is strongly recommended is to consider selecting a niche that you can focus on. A niche is an excellent way of getting yourself out there in front of the people that matter, your potential customers. However, this does depend on you having been able to correctly identify your customers in the first place. Don’t worry about a niche leading to a smaller market because think of it this way. How much of the market will you get for a popular keyword or phrase if you are lingering around page 10 of Google? Is it not better to have a larger share of a smaller market than no share of a larger market? Absolutely, and that’s where the concept of the niche really does come into play. The entire idea is to basically find an untapped market. This does require some work on your part and here’s the first piece of advice, avoid using the Google Keywords Planner. This may come as a surprise as most people believe that Google holds the key to all successes. However, that’s not always the case. Instead, what you will tend to find is that this program from Google is rather poor at helping you to locate various keyword alternatives that you can put to good use. Instead, we will discuss another program that is not only very easy to use, but also provides you with so many different alternatives that it just makes the entire process so much easier. You see, not being able to see enough niches or potential ideas to choose from is an issue. This can be yet another problem for you to try to overcome and yet your frustration at being faced with this additional step can be telling. 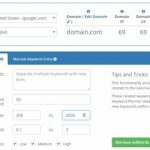 The keyword alternatives that Google throws up will often still be very competitive so you are still faced with the exact same issue as before. In other words, you are going around in circles just this time it’s slightly smaller. It’s understandable if you are wondering about your next step, so let’s look into that. The best approach has to be brainstorming your way to success with your keywords. It’s important that you sit down, think about everything that your business or website offers or is related to, and then start writing down ideas. How to remodel my kitchen. The list can go on and on and it’s simply a case of coming up with variations of how people might search for things related to what you do. Remember and use words such as ‘how’, ‘why’ and so on and go as crazy as you think. It’s surprising what you will find that people search for and even how many people use various terms on a monthly basis. In other words, you need to sit there and try to put yourself in the shoes of those individuals that will be searching for you. How would you find them and how would you ask various questions in order to want to find your link? Sound difficult? Then think about searches that you are already doing elsewhere and apply the same approach to your own need to find a niche for your own website. Ready? Then we need to move on to how you actually manage to start to build a list of niches for you to then explore. How to Make a Niche List. Making a niche list before you go ahead and get too involved in trying to carry out some SEO work on your website makes so much sense. Doing this is very easy and it doesn’t even take that long for you to start to build a number of options that may be worth checking out in the future. Now, we aren’t talking about anything complex here and anybody is able to do it, so let’s kick things off with you being organized in the first place. Step 1: Create a .txt File. The first step is to create a .txt file or even open up Google Docs if that is easier for you. This allows you to start to build your list and keep track of the ideas you are coming up with and that need to be explored further. This is important because of the number of ideas that you will be able to come up with in a relatively short period of time. Step 2: Create the initial list of words that come into mind. You need to start off somewhere and the best approach is to just jot down the words that spring to mind without too many problems. This kickstarts the entire process and you aren’t making any real decisions at this point. The idea here is that you will be able to get yourself into a position whereby you know the industry and direction your keywords will tend to be heading in. Step 3: Understand your buyers. Once you have that initial list, you need to think about things from the perspective of your buyers. However, to do this, you need to really understand who you are targeting. For this, think about these key areas. What problems may they face? What is their kind of income? How much would they be likely to spend with you? All of these questions can really help you to further pinpoint the best possible keywords for your needs. Step 4: Search for your buyers. We also then recommend that you spend some time searching for your buyers or customers. This allows you to have a better understanding of them than before. Consider checking out local forums, classified ads websites or social media as this allows you to see what they are asking others. This is important because you will be able to basically get into the mind of your buyer and be able to come to some kind of a decision as to the way in which they will often choose to pose their search question. By doing this, you can then go ahead and start to incorporate those questions and phrases into your research and to determine if there is a reasonable sized niche included in it. Step 5: Consider a thesaurus. One thing that is often overlooked is the potential use of a thesaurus to help you with keywords. Too often, people are guilty of coming up with a keyword and then sticking with it rather than going for variations. Other people will use variations, so why would you not contemplate it? A thesaurus is going to be more appropriate when you are searching via a question that people are likely to ask rather than anything else. Once you do this, make a note of the different options as you will then need to think about carrying out some additional research into them later. Step 6: Check out Wikipedia. Here’s something that is often surprising to people, Wikipedia is a fantastic resource for you to consider using. By reading their pages, and what links in with your various keywords, then you can often build a better idea of what people are going to be looking for within your particular industry. With this, you really need to read between the lines when it comes to what appears on there. Note down words that appeal and add them to your list. This will allow you to really work at expanding the potential niches that you want to explore. Step 7: Bring together your keywords. By this stage, you should really have a pretty impressive list of keywords that are worth exploring and that’s something that you need to do as the next step. You see, there’s a sense of these keywords forming the foundations for you to then work from and this is where a change has come in with the way in which people search online. In the past, people would use pretty much just a few words. However, now they are more likely to search using a more exact phrase or terms in order to get the results that they really want. This is actually good news for you simply because it opens up the possibility for even more niches to be explored. Step 8: Create a list of potential search phrases. If you then take your list of potential main keywords, it’s then an idea to begin to work on different potential search phrases that include those keywords. This is something that will take a bit of time, but you should really get some order in this list. Take each word and put it at the top of the column then write various phrases and ideas under that main keyword. Repeat this with each keyword until you end up with a huge number of possible ideas. Now, I know that this sounds like a lot of work and that you would end up with far too many niches to then explore, but here’s the thing. I don’t really see that as a bad thing. The reason for that is easy to understand. Not every potential ‘niche’ is actually going to have enough searches on a monthly basis for it to be worth your while exploring it any further. Imagine your disappointment if you only sat there and came up with five different ideas and then discovered that four of them had under 100 searches over four weeks. It would put you off even trying to use keywords in the first place. These steps are all designed to get you to a point where you are ready to go ahead and further explore the various keywords or phrases in a bit more detail. You do still have a lot of work to carry out but at least now you are pointing in the correct direction. As we have covered a number of points in this section, you might be interested in checking out these few key points just to make life a bit easier and to refresh your memory. Be prepared to make an extensive list of possibilities. Understand your buyers and what they are looking for. Check out the comments and questions they make to help with your niche. Do adequate research into various potential keywords. Do not be afraid of the list you see before you as we will narrow it down. So far, so good and the best part is that we will show you how it is going to get even easier than you had initially expected. Now, we are going to move onto helping you to better understand the various pieces of information that you should be looking out for when it comes to narrowing down your niches. The Information You are Looking For. You should now be sitting looking at the list of potential niches but as we said earlier, you have to then be prepared to carry out some extensive research into these various ideas just to find out which ones will actually tend to work for you. A quick hint, not all will be as effective as you either hoped or wanted it to be. However, in order to do this, you need to have a better understanding of the kind of information that you should be searching for regarding these keywords or phrases. After all, what’s the point in doing all of this work if you are just staring blankly at the screen completely unaware of what it is that you are looking at? The good news is that this is actually substantially easier than you may imagine. In fact, there are only a handful of pieces of information that you should really be trying to find out although each piece plays its very own important role in the grand scheme of things. On a number of occasions, you will be shown more information on things that are just not going to play a role for you at this point, but we will help to guide you past those points as well. So, the things to look out for includes. How many times has it been searched for globally? How many times has it been searched for locally? Is there any indication of the competition? What suggestions are there for words or phrases that are similar? This might sound basic, but these few snippets of information can make a huge difference to the niches that you eventually select. To be honest, it can completely change the potential direction of your website and also alter the potential income or number of new customers that you may be able to receive as a result. Taking Your Keyword Research Further. Think about this; you have a better understanding of the kinds of keywords that you should be focusing on, but how do they fit into your desired niches? Are they actually going to be as compatible as you had hoped? We just mentioned the need for you to seek out various snippets of information regarding how popular various terms and topics are and this is where some people do make a huge error. They simply go with what Google tells them, but Google doesn’t know everything. Instead, it’s always best for you to invest some time conducting additional keyword research that doesn’t just rely on what the behemoth of Internet searches tells you. Well, we already mentioned Wikipedia as being a good source of information but that doesn’t help you to really understand how popular something is. The good news is that there are various places that are able to help you and it’s best that you start to explore them. One of the first places we would recommend checking out is Reddit. This is a huge online community and depending on your desired keywords or niche topics, you might be able to find out just how popular something is on a sub-reddit. If you see thousands of people discussing and asking questions, then there’s a good chance that you will be onto something. But that’s not the only place. Instead, you should also pay close attention to social media in general and this means the likes of Twitter, Facebook, and please don’t forget Pinterest or Instagram. If you see people talking about it on these kinds of groups, or find pages dedicated to whatever it is that you are looking at as a niche topic, then you could be hitting gold dust. Even if you fail to find a lot it’s best not to see it as a failure but rather you have saved yourself some time as you know not to bother proceeding with a certain topic as there is just no real interest out there. Scour social media to get some input on what people are talking about. Look at Reddit and similar websites for further help. Spend time actually reading posts rather than just titles to get a better idea. This all takes time, but it’s time that is going to be very well spent when you are actually able to go ahead and find that golden niche, or more than one, that will make it easier for you to then start to rank higher up those search engines. This section looks at something that is so important and yet so many people overlook it simply because of their general lack of understanding about keywords and research. The section is all about understanding the competition that is out there and you will quickly see why this is key. Think for just a moment about a rather general topic that’s not even classed as a niche. We can use our ‘construction company New York City’ as an example once more. If you do a search using those terms, or even shortening it to NYC, then you will be delving into a highly competitive area where it’s going to prove to be almost impossible for the average person to get anywhere near the first page. People have a tendency to come up with rather general terms. They then see that there is some serious competition out there and they give up. However, it’s all about the way in which you structure things and your approach to finding your niche that is important. If we take a different example for a moment, this time we will settle on candle holders. Now, if you consider the keywords ‘candle holders’ for a second it will make sense that this will be highly competitive because how many people are selling or promoting candle holders on the Internet? If we view ‘candle holders’ as being a primary source which gets a huge amount of traffic, but also a lot of competition and then drop down a level. By this, we mean adding in another word so it turns from a two word phrase into a three word phrases. What you will then see is if you add in something such as ‘ornate candle holders’ or ‘decorated candle holders’ then the number of searches that they receive drops but there’s still enough to make it worth your while. The other key thing here is that there is slightly less competition, so it makes it that bit easier for you to go ahead and actually rank quite highly for those keywords. However, in some instances the competition will still be too high and costly for some people, so you may then have to work it down yet another level by adding in a more complete search phrase. So, what are we saying about competition with keywords? Well, quite a lot actually and that is simply because of how important it is in the grand scheme of things with keywords and SEO. However, just in case you are still confused then these points should help. The higher the competition, the harder it is to rank. Aim for low competition with lower search numbers. Higher competition means it costs more to get anywhere near the first page. Don’t be blinded by the stats as they are misleading. Competition does not have to be a bad thing and yet it’s how you handle it all that’s going to be key. It’s all too easy for you to shy away from a potentially wonderful niche just because you think that the competition is not or you, but there’s something else that is extremely important to keep in mind. That point is the way in which competition has a direct link to the potential conversion rates. It’s common for people to believe that search terms that are just a single word that also receive a massive amount of traffic will have the best conversion terms, but that’s not the case. Instead, it’s best to view these keywords as actually being rather poor. Yes, they do get a lot of people looking for them but in most instances the searches are far too general and vague. 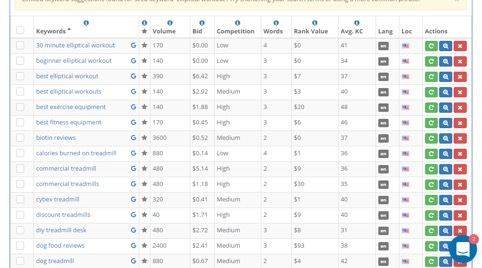 You get anybody and everybody searching using these keywords, so you end up paying more to try to be competitive and yet the conversions are low. They are low because people that search using a single word are not too aware of what it is that they are looking for. It’s almost like a shot in the dark for them and they then see if they strike it lucky. This, in a way, should be good news for you because it does mean that you should forget about trying to rank for these ultra-competitive keywords with insane levels of traffic because you will often spend more money than you can hope to then earn back. Do not allow yourself to be tricked into believing high searches is good. More precise searches convert better. This means longtail keywords and phrases are ideal. Avoid those single word search terms as they are pointless. Lower competition with higher conversion rates should always be your aim. So, after dispelling that misconception, we need to stress how you have to take the alternative approach to your keywords. The terms that are less competitive and with fewer searches actually have the highest conversion rates because the terms are so precise and the individual knows exactly what it is that they are looking for. However, it has to be stressed that it can often be the case that these longer keyword phrases generate substantially fewer searches over a month. In fact, some might only get 100 or so and that’s why you really do need to spend time getting to grips with a number of potential niches and keywords just to make the entire thing worth your while. But here’s something that we need to address. Up until this point we have spoken about a number of different things and we have shown you a few examples of what we are talking about. However, we understand that this is all going to sound rather complex and there may indeed still be a certain amount of confusion and bewilderment surrounding this entire thing. So, here’s what we are going to do. We are going to walk you through the entire process from start to finish. It will incorporate the key points that we have mentioned so far as well as the kind of things that you really do need to look out for while doing your research. Now, we could have gone ahead and used a multitude of tools in order to walk you through it but we have settled on longtailpro.com and here’s why. Oh, I should add in that this is merely a tool that I recommend from my own experience as I get far superior results when using it compared to those from Google. I just find that it gives you the information you are looking for in an easier to follow format. Considering how important this data can be, having it presented in this way certainly makes a lot of sense. However, you can use other tools if you prefer. The name kind of gives the reason away in that it does really help you out when it comes to using those long tail keywords or phrases that we have been pushing you towards throughout this book. We have been doing this due to the realization that very few people are going to be trying to aim for single word search terms simply because of the cost involved and, as you have just seen, the very low conversion rate. With this software, you are going to be able to see all of the different key aspects that we have discussed so far. Not only will it be able to inform you of the number of searches, but also the competition, the cost for advertising using those search terms, and so much more. You will also be able to check out variations of the keywords that you have used in your search and it will then open up potentially new doors for you to go through with your keywords. So, are you ready to put together the different things that we have discussed up until this point? Well, if so, then let’s begin. The Step-by-Step Guide to Producing the Perfect Keywords and Niches. Now, when you look back at the list of keywords and potential niches that you pulled together earlier, then you will perhaps feel that you have a lot of work ahead of you and it may appear to be quite daunting. However, our software will make the entire process that bit easier and we really do mean that it is going to be ideal even for beginners. Just before we start, throughout this guide we are going to be using the Google stats for the United States. However, if you are in the UK, Canada, or wherever then you should change it to the country where you will be marketing your keywords or niche. This will provide you with the most accurate results possible and avoid you running into any mistakes. Remember, what works well in one country may perform badly in another. Step 1: Getting to Grips with the Software. The first step is to get to grips with the software and when you register you will then see the following screen. As you will see, we are in the process of using a treadmills example to help guide you through everything. With this, you see that Google USA has been selected and the domain name has been entered. Ignore the numbers at the side of the domain name at this moment in time as they are not that important to us. However, what is important is the second part of the screen where it says Google Adwords Suggestions and Manual Keyword Entry. Step 2: Entering the Keywords. With this second step, you have two options. You can either import your list of keywords and phrases from your .txt file that you created earlier via this screen. 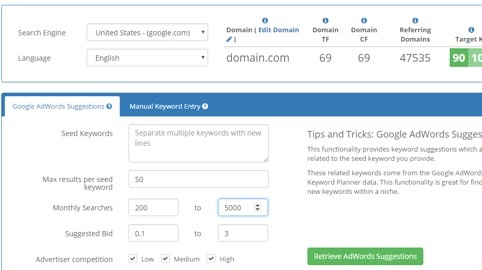 If you choose this option, then simply paste in the list making sure you have a new line for each keyword and then hit ‘Retrieve Keyword Data’. The only other thing is that you need to make sure that you have an adequate number of credits available for you to carry out this procedure and as long as you do, then it won’t take long for you to be shown a whole host of information on your chosen keywords. Alternatively, if you are looking for some inspiration, then you should use the Google Adwords option. To be honest, this is something that we would strongly recommend anyway because there is always the chance that you will have overlooked some cool niches or keywords that you could target. The only thing is that there are a few additional boxes for you to understand. This might look scary, but it’s easier to understand than you realize so let’s take you through it with each box. First, you will want to enter what is known as your ‘seed keywords’. These are general terms from which the software is going to base its recommendations. If you sold candles, then you would enter keywords such as candles, candle holders, scented candles and so on. Now, if you are new to this kind of thing, then we would recommend only doing one keyword at a time or else life is going to get a bit too complex for you to follow as a first attempt. Next, it’s perhaps best to limit the maximum number of results for that seed keyword to 50. In a number of instances you might not even get to 50, but any more than that and you will tend to find that you will have no idea which way to then turn. The monthly searches boxes are important. Remember you are looking for a niche that is not going to be too competitive, so you can restrict and limit this section to then be left with results that will be far more appropriate for you. What we recommend is you entering a minimum of 200 and a maximum of 5000. To be honest, a number of people would actually reduce that even more, especially the higher figure, because anything above that is just going to have higher competition leading to it becoming more expensive. Next, there are boxes for suggested bids and this is tied in more with Adwords and online advertising. If you aren’t planning on doing this, then you can largely leave it alone. However, it can help you when it comes to better understanding the competition aspect. If you plan on searching with it, then here’s our advice. Enter a minimum bid of $0.10 and a maximum bid of $3. Once again, anything above that can lead to more competition and more expense and at this moment we are merely trying to get a better idea of the keywords that you should target. Oh, and one other thing to understand with this, we are talking about a cost per click. That means you pay the bid price each and every single time somebody clicks on your advert. However, that’s an entirely different topic. Finally, there’s the box about the level of competition. You should look at just ticking the boxes for low and medium and just completely disregard the high competition. It’s just not worth the hassle and effort you would then need to put into it all. This box makes sense because we are all about getting the best keywords with the least competition. So, once you have entered all of the relevant information, then you just need to hit the ‘Retrieve Adwords Suggestions’ button and then allow it to do its thing. Step 3. Viewing the Answers. Let’s say you have entered the keyword ‘treadmills’ in the Google Adwords Suggestions box. Also, you have entered the rest of the information as seen in this screenshot. Remembering that we have set the limit to 50 suggestions with this single keyword. Now, if you move down lower on the screen, then you will see this screen in front of you. Once again, there are several things that we need to check out and we can explain the different columns that you see before you. First, at the top you can enter specific keywords that you want to include. Next, you can exclude certain keywords that have above a certain figure in relation to the competitiveness. This is tied into the initials KC where the higher the number (on a scale of 1 to 100) then the harder it is going to be to rank on the first page of Google. Dropping down, the first column is clearly the various keyword suggestions that you can check out. The volume column also refers to the number of searches that have been carried out for those phrases in your locality as an average over a 12 month period. The bid column is directly related to how much it would cost you on a CPC basis to rank highly with your Adwords. The competition column is easy to understand as is the number of words since this is related to the keyword or phrase in question. The rank value is related to the organic worth to you of ranking on the first page of Google for those keywords on a monthly basis. For many, this is something that they bypass simply because of the need to focus on competition and how much it will cost you from an advertising point of view. Let’s look more closely at the results. Step 4: Understanding the Results. To get a better idea of the results, we have moved down to the keyword suggestion ‘elliptical workouts’ we then hit the blue magnifying button on the right hand side to see 20 additional suggestions related to that keyword. Now don’t make the mistake of looking at the suggested keyword phrases and wonder why on earth you would actually want to try to target them as they do mainly have value. But let’s look through several of them. This keyword is poor. Yes, the competition is low but then so are the number of searches at just 170 a month. For this, you might want to push it far down your list of potential niches and it’s certainly not worth putting a lot of effort into trying to rank for it. This keyword is better although it is still not the best. It has 880 searches per month which is great and the CPC is very low at $0.14. Also, the competition is quoted as being low so you can see how this is going to be a wonderful keyword to target. This is an example of how you can come across a niche that you were not likely to think about before but how this tool can throw up some possibilities that could still prove to be popular. With this, you are getting 880 searches per month on average which is still quite impressive for a particular niche. The CPC is $0.67 and the competition is medium. This is not exactly ideal with the competition level, but it’s still good enough for you to consider targeting it. Step 5. Repeat with Each Important Keyword. We just used one example there with the elliptical keyword which was then expanded, but you should not just rest on doing it with that one. As you can see from the example, you then had the chance to find that ‘dog treadmill’ could very well be a wonderful opportunity for you to explore as a niche and that would have been lost on you. This is a lot of work, but when you consider the way in which it can have a profound impact on the visibility of your website, then it’s certainly something worth doing. What these examples show is the range of options that are out there when it comes to just this one single keyword and as you can see with the final option you might be surprised at what you come across. Now, you have to think about which ones to choose as that’s going to determine the future direction of your entire approach. In preparation, we recommend that you do the following just to make the entire process that bit easier. Make a note of the keywords that have the best search numbers. Check their KC and add that into a .txt file. Make a note of the CPC as this is also important in moving forward. By now, you will be in a better position to carry on to the next part in order to really get to grips with the entire keyword and niche selection. Moving Forward with the Keywords. By this point, you should have sat down and entered all of the different keywords and then sought to identify which options have the best possibilities. Now, we know that there are a number of things to take into account, so we have to really guide you through what to do next. Step 1. Open your .txt file. The first step is to go ahead and open that .txt file because you need to work through the various options that have really come forward as being a distinct possibility. Step 2. Consider how each potential idea works for you. It’s all fine and well saying that a keyword with low competition and over 500 searches a month is a niche that is worth exploring, but this is only the case if you can see that it does indeed fit into what you are doing. Once again, we can look at an earlier screenshot for a better understanding of what we are talking about. The thing to look for here is the keyword phrase ‘biotin reviews’. Now, if you have a website that is focusing on treadmills, then would it be worth your while checking out biotin reviews even though it has 3600 searches per month? The same can be applied to dog food reviews which also has a reasonable number of searches each month and with medium competition. What does that have to do with your treadmill main concept? The answer is nothing at all and yet, some people would allow themselves to be drawn in by the numbers, but this would be a mistake. At the same time, consider these points keeping the keywords that appear above in mind. You are selling treadmills, so any phrase related to treadmills or exercise is good. Are you selling to residential or commercial as this can eliminate some keywords. Are you selling high end or low end discount treadmills? Are you doing reviews or selling the actual product? These are all questions that can make a difference as to whether or not the keywords that appear in these suggestions will work for you. If not, then be honest with yourself and avoid trying to optimize your website for them as it’s just not going to work out too well for you. Step 3. Adding them into Content. The third and final step at this point is to actually add them into your content. Now, you have to remember a few key things in order to avoid running into difficulties with Google. First, they want keywords to appear naturally. That means they are not forced into content or the optimization of the website. This never used to apply, but in recent years the algorithm has been changed to reflect this. Next, never add in too many keywords to the same content. This is known as keyword stuffing and it’s frowned upon in a big way. Google will pick up on this and your website will be penalized in an instant with you falling down the results pages faster than you could ever imagine. So, what do you do? Well, that’s easy. 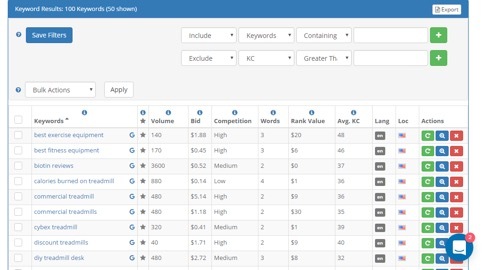 With content or pages, choose a single phrase as a main keyword. Have it in your title if possible. Add it along with other similar keywords to your content, but always naturally. But what happens if you are looking at using a number of keywords? This is common practice and the result is that you will tend to want to use individual keywords as the main theme for different pages. This is why so many websites have so many different pages for each product or service, it gives them the chance to optimize them accordingly. Of course, there is substantially more to SEO than this, but this isn’t the time nor the place to discuss it. And that’s it. That is how you start to apply the keywords, but forget about just adding them and then letting them work away without paying attention. Instead, you need to keep checking on how they are performing because not every single keyword is going to work for you in the way that you imagined. To do this, check your stats on a regular basis and do not be afraid to then switch to other phrases if you discover that something is just not clicking. Key Mistakes to Avoid Making. As you can see with the various screenshots above, there are a number of steps for you to work through and yet nothing is perhaps as complicated as you were fearing. However, that’s not to say that it’s impossible for you to make mistakes as the complete opposite is true. So, as we simply don’t want you to make any errors that could lead to being a costly mistake, then it makes sense to guide you through the various key errors to avoid. At the same time, you will also be able to see a quick solution. Mistake 1. Not doing adequate research. This mistake is often the result of people simply believing that they don’t have the time spare to go ahead and carry out the research. Either that, or they mistakenly believe that it won’t make much of a difference. However, the truth is that not doing adequate research will only increase the chances of you carrying out other SEO work that is actually pointless. You will either be aiming for something too competitive or with just not enough searches for it to be worth your time. The solution here is planning ahead and dedicating time to the research. We have shown you above the easiest and fastest way of doing this and it’s strongly advised that you put the various steps into action. After all, the future of your website or content is going to be dependent on this. Mistake 2. Not understanding your market. Keywords are directly related to the market that you are aiming for. This means, you have to understand who you are selling to or trying to attract in order to then select the correct keywords or phrases. This should have really formed an integral part of your entire marketing strategy and it will be extremely useful in this kind of setting where the only difference is that everything is online. Solution 2. Back to basics. Our solution here is for you to really go back to basics before you proceed with your keywords or niches. If you don’t understand who you are aiming for, then there is no way that you can carry on. Get yourself back to absolute basics and do your market research for your business before venturing any further forward. It will make life so much easier. Mistake 3. Not paying attention to search numbers. People can often manage to mislead themselves by paying attention to something such as the competition or how much the CPC is for a certain phrase. They can see possibilities because of these two factors, but they overlook one major key thing, the number of searches that are carried out each month. If you are looking at around 100 searches or so, then it’s not worth it and you must look elsewhere. Solution 3. Check every statistic. The solution to this is to look at all of the information that is provided to you by the likes of Longtail Pro and make sure that you understand it all before you proceed. Do not be blinded by just one statistic that appears to stand out from all of the rest. You need to have a balanced opinion and study everything possible before you go ahead and start to make plans for using a certain keyword or phrase. This is not something that should be rushed. Yes, we understand you just want to get going and implement the keywords so you can move on, but trust us when we say that this is a job that is certainly well worth doing right. Mistake 4. Putting all of your eggs in the one keyword basket. This is important. People will sometimes feel that they have stumbled across some golden keyword or phrase and then decide to focus solely on that. This is the wrong approach and can be a huge mistake as there are so many things that can trip you up. The problem here is that you will not be the only one that will then find that gold mine and the game will change almost instantly. Imagine if you plan your SEO campaign around just a single keyword or phrase and then other people jump on board and overtake you. Then what will you do? The chances are that you will sink and have to go right back to the drawing board. Solution 4. Spread your options. The solution to this particular mistake is very easy, spread your options. It is like SEO suicide to ever believe that a single phrase is going to carry you on to amazing success, so don’t fall into that trap. Sure, by all means have some golden phrase as your main focus, but also optimize and use other keywords as well at the same time. Yes, that phrase might do well, but then if it crashes down all around you at least there are other phrases to carry you through. Mistake 5. Resting on your laurels. The final mistake we are going to mention is where individuals are basically resting on their laurels. They feel that they have done the hard work, carried out their research, optimized their content and website for those keywords, and then noticed that they are all working. This is also the wrong thing to do simply because the world of SEO changes all of the time. The algorithms that Google uses to rank keywords and websites will change time and time again. The competition will change. The popularity of keywords will also rise and fall and if you fail to take any notice, then your business and website is going to suffer. The solution here is to stay alert. We aren’t saying that you need to check out how keywords are performing on a daily basis, but we do strongly advise you to keep on checking in and using your keyword tools to see how various phrases are now performing. Doing this on a regular basis will mean you can make changes in advance and adapt your strategies to remain on top of your game and to continue to rank as high as possible. There are, of course, a whole host of other mistakes that you could make, but if you follow the steps that we have mentioned above, then it should not be as big a problem. You also need to remember that this is a field that is constantly changing so our fifth solution is certainly one that you do not want to forget or ignore. So, how do we round all of this off? A lot has been covered but hopefully this e-book has been able to largely clear up so many of the questions that often hang around the idea of keywords in SEO. As you can see, the entire process is actually a lot easier than most people are aware although there is still the very real need for you to go ahead and do the research, find the niche, and then go about the correct implementation of your strategy to take advantage. There’s really no intrigue or mystery about a successful keyword marketing campaign. As long as you lay down the groundwork for whatever it is that you offer or provide, then there is no reason why you cannot then go on and expect a certain degree of success. Just remember that the Internet is competitive. Niches become more competitive over time so there is also a sense of continually having to look into what you are doing and just making sure that you are keeping one step ahead of everybody else. Never just jump for the first keywords that come into mind. Never assume that you know what others are searching for. Be honest with the funds you have available for any SEO campaign. Spend more time on your research than setting up the keywords. Consider targeting more than one niche at a time. Understand you are targeting a smaller market, but that it’s fine to do so. Realize that keywords are not the only thing you have to do for SEO. Try out various keywords and chart their success before focusing on a few. The market is changing and so is the competition so be aware. Anybody can actually master the art of understanding keywords. You just need to have the confidence in your own self to do the work that is required in the first place. However, if you follow the steps that were mentioned throughout this book, then there is no reason why you cannot go on and be that person. Keywords do not have to be complicated. They do not have to spell the end of your SEO plans before they have even been able to begin. Instead, doing adequate research is going to lead to you opening up a wealth of possibilities and if you are clever enough to find the correct niche then your business will expand like never before. Never give up hope in trying to find the perfect niche. Even when you have found something that you are happy with, just continue to check any changes to the competition or new areas that you are able to explore. Staying ahead of the competition in your industry is absolute key if you are ever going to succeed when it comes to using keywords in SEO. We work long hours, devote a lot of thought and effort towards helping all of our clients with SEO and Reputation Management. And when something like this comes into the inbox we are always really pleased. This makes all the work worth it.